I have a question to what this part is, and what type of plug I need to get for it, The wire has two insulated wireds within a bigger insulation, I just had to solder myself the wires together. Position is above the starter motor on a 2.0L Pinto engine in a 1979 mk2. oil pressure switch, or an oil pressure gauge sender? I think its an oil pressure gauge sender, for an aftermarket guage (like VDO) rather than just having the low pressure warning light. Instead of having a thin oil line connecting the sender to the guage, this is electronic version:so one terminal will be connected to 12V, and the other (possibly centre terminal) would be the signal going to the back of the gauge. If you don't have one, it's a good thing to fit, good to know your oil pressure. Usually you need the correct gauge and sender as a kit. That helps out but the thing is there is one cable with two(red and black) wires that i'm fairly certain go into this Oil pressure switch/gauge. The cable runs in the loom along the cables that lead to the starter motor and engine Earth. 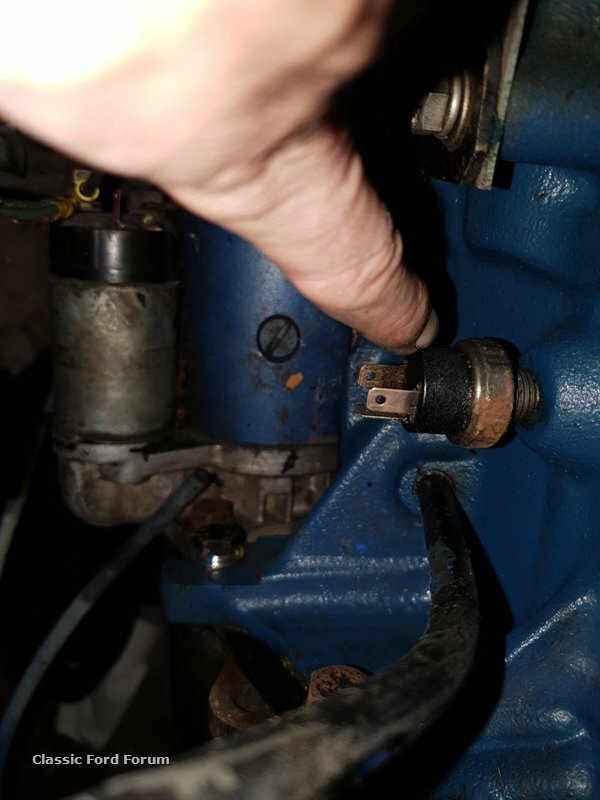 see the yellow/black and green/yellow cables that are on the starter motor below my hand. Pretty sure the oil pressure switch you have pictured will have a normal open and normal closed circuit within the switch. Take an ohm meter and check continuity between two of the terminals at a time, the two terminals that are oriented the same way are probably the signal terminals the other one will be a common. The wires in your harness will need to be connected to the common and the terminal that measures closed to the common on your meter. The oil pressure light should now illuminate with the ignition on engine not running. Thanks heaps everyone, finally being able to figure out what parts are what really helps me out. I have a Ohms meter to check the continuity of the terminals, most likely will have to get new switch and gauge as I don't believe i have them stashed away in all the parts boxes. 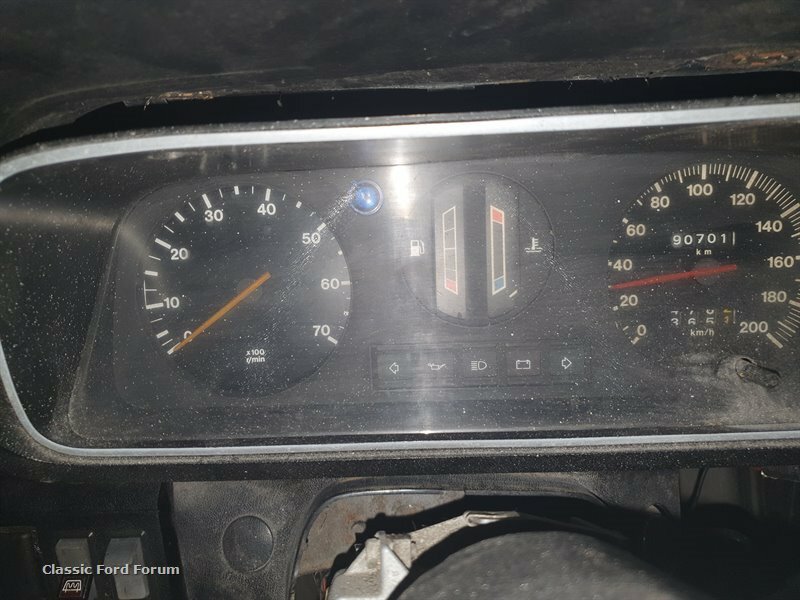 The dash you have pictured only has an oil pressure light so only needs an oil pressure switch to work. Work out the correct terminals as mentioned above, connect it up and you should be in business. To test if the wire is the correct one , have a someone in the car with the ign on but not start and with the wire do a quick but solid earthing to the bare metal on the engine somewhere, the oil light should come on while the wire is earthed. I should know the wire colors as I had to do a full strip and trace of my loom not long ago. Temp wire is white/red tracer and starter wires are usually black, black/yellow maybe..